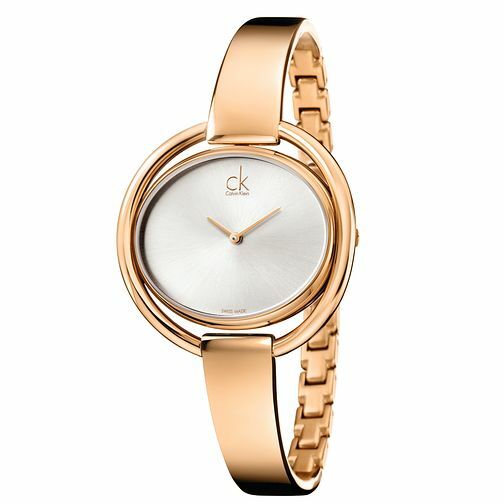 Opt for sleek, minimalist style with this ultra chic gold-plated stainless steel semi bangle watch from the Impetuous collection by Calvin Klein. Styled with a plain silver tone ellipse dial framed by a striking cut-out case. Perfect for everyday modern elegance.